An Iowa man was arrested Monday, April 15 after it was reported that he was shaking a baby in the middle of the street in Iowa City. [ads]Police responded to a report early Monday that there was a man in the middle of Plum Street at a little after 3 a.
Iowa City has a new development in the technological world. There will be a brand new smartphone and iPhone application rolling out that will allow you to file nuisance and other small complaints with the city right through the app. Facebook is now educating new and small merchants about online businesses and advertising, while introducing their ad tools on the side.With online shops being a huge hit, 3% of other small businesses advertise their products and services online in hope of gaining more customers and profit. It's official: Facebook and GM have made up. 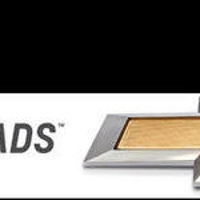 According to appearances on Facebook of GM ads and articles on forbes.com and CNN.com, Chevrolet has been advertising on Facebook again. [ads]Less than a year ago, GM publicly criticized Facebook's advertising methods, claiming that advertising on the site was not effective. Iowa City Police are looking for information about an individual that is suspected in a sexual assault investigation. The assault happened off-campus to a female University of Iowa student early morning on April 7. An Iowa resident and junior at Iowa State University has his sights on Iowa City to expand his campaign of placing breathalyzer machines into bards in the state of Iowa. [ads]T.J. Elbert has been working with his organization, Safe Living, to put machines in bars across Iowa, and now he has his sights set on Iowa City. Keep your eyes on daytime television, Iowa City. An Iowa City woman got her chance to be on the popular game show "The Price is Right," and not too long after her 50th birthday, either. [ads]Tamera Poeschl of Iowa City celebrated her birthday in a big way, even though it was a little late. Preview of the new Xbox, code named Durango, is scheduled in May. As reported in The Verge, Microsoft will be giving a preview of the new Xbox at a special event in May. The Iowa City Fire Department responded to a house fire Wednesday morning that resulted in the injury and hospitalization of one Iowa City woman. [ads]The Iowa City Fire Department responded to a call at around 8 a.
Facebook recently announced their latest app, Facebook Home, which replaces the standard Android home screen with full-screen photos, notifications and status updates. 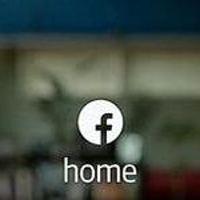 Facebook Home is said to launch on April 12th in the US.